Honor has launched the Honor 9 Lite, a new phone that features an all-glass case, 18:9 FHD+ display, and quad-lens imaging system. The Honor 9 Lite, which is available from John Lewis, Amazon, AO.com and other stores from today (6th February), is based on the pre-existing Honor 9's design. Its very much on-trend 5.65-inch, 2160x1080, 18:9 FHD+ display is actually very close to 21:9, with Honor designing the screen thus to grant users a movie-like widescreen experience. 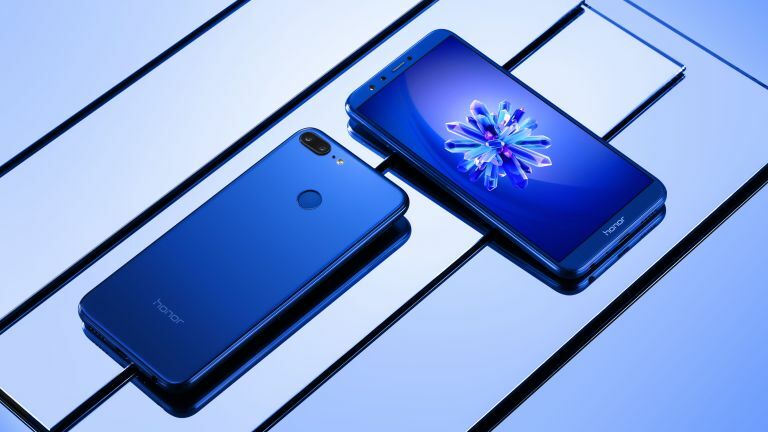 Powering the Honor 9 Lite is an octa-core Kirin 659 processor, which has had its clock rate upgraded to 2.36 GHz for faster operation, as well as 3GB of RAM. Internal storage sits at 32GB, with additional microSD card support up to 256GB. The Honor 9 Lite's quad-lens imaging system consists of two dual-lens 13MP + 2MP cameras on both the front of the phone and the back of the phone. The dual front cameras feature a wide aperture of F2.0, with one sensor capturing image details, whilst the other gathers depth of field information. According to Honor this helps produce professional-looking images with natural bokeh effects on both the front and the back. Video can be captured up to a resolution of 1920x1080. The Honor 9 Lite comes running Android 8.0 Oreo, as well as Honor's EMUI 8.0 user interface. A rear-mounted fingerprint sensor is also included, which runs of Honor's 4th generation identification tech, which reportedly allows for an ultra-fast 0.25s unlock speed. The casing of the Honor 9 Lite is constructed from 2.5D glass, which is integrated with a nano-scale optical coating. This grants the phone a clean, mirror-like finish. The Honor 9 Lite's battery is rated as 3,000 mAh. Pricing for the Honor 9 Lite has been confirmed at £199 (the Honor 9 currently retails for £279), and is available now in Sapphire Blue, Midnight Black and Glacier Grey colourways from Amazon, Argos, Very, AO.com and John Lewis. More information about the Honor 9 Lite can be found on Honor's official website.